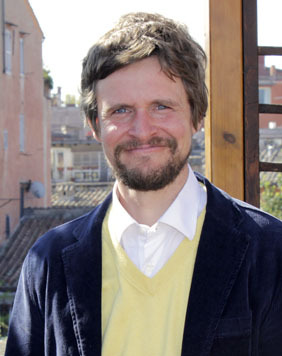 Michael Driessen is Associate Professor and chair of the department of Political Science and International Affairs at John Cabot University, Rome, where he also co-directs the University’s Interfaith Initiative. He received his doctorate from the University of Notre Dame and was a post-doctoral research fellow at Georgetown University's School of Foreign Service in Doha, Qatar. Professor Driessen’s research focuses on the role of public religions in Catholic and Muslim societies, and he teaches courses on Religion and Politics, Middle East Politics, and War, Peace and Conflict Resolution. He has published the book Religion and Democratization: Framing Religious and Political Identities in Muslim and Catholic Societies (Oxford UP, 2014), and his articles have appeared in Comparative Politics, Sociology of Religion, Politics and Religion, Constellations and the Journal of Modern Italian Studies. He is currently writing a book on the global politics of interreligious dialogue. Professor Driessen is also a member of the international community of L'Arche and a frequent collaborator with the Lebanese Interfaith Foundation, Adyan. He lives in Rome with his wife and three children.